Product prices and availability are accurate as of 2019-04-22 11:37:18 EDT and are subject to change. Any price and availability information displayed on http://www.amazon.com/ at the time of purchase will apply to the purchase of this product. 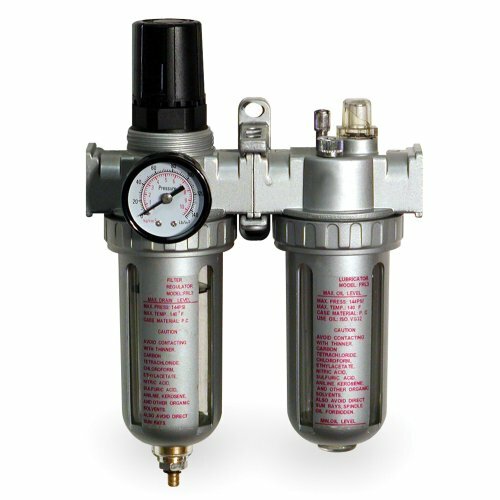 Protect your air tools and compressors with the Buffalo Tools Air Control Unit. This unit will eliminate dust, water and impurities from the air line and extend equipment life and increase efficiency. This is an essential tool to have in your air tool arsenal. Get big power out of a small device with air tools by Buffalo Tools. Air tools are ideal for use in handyman workshops, auto shops, and home garages where an air compressor and hose are within reach of the project. These palm sized devices deliver more power than tools many times their size, without filling your space with bulky that have to compete for space at the power outlet.